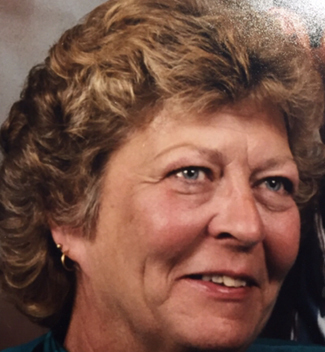 Vicki L. Crandall, 73, of Cassadaga, passed away Monday, April 8, 2019, at Prisma Health Richmond, Columbia, S.C., with family by her side. Born Sept. 28, 1945, in Jamestown, a daughter of the late Victor and Evelyn Rautine Holdsworth. She was a 1963 graduate of Cassadaga Valley Central School and 1965 graduate of Jamestown Business College with an associates degree in business. In early years, Vicki was employed as a secretary at Beneficial Finance Company, Jamestown, the former Miller Trucking and the former Art Metal Company. She also worked at the former Cassadaga Greenhouse and was employed as a bus driver for Cassadaga Valley Central School for over 20 years, retiring in 2003. Vicki enjoyed gardening, collecting sea shells, bird watching, doing numerous crafts, her pets, but above all else, spending time with her family. Wife of 51 years to Richard E. Crandall, whom she married Aug. 18, 1967; mother of Rennae L. Majka of Mayville and Dean (Jerri) Crandall of Ellington; loving grandmother of Alyssa and Holly Crandall and Jordyn and Kyler Majka; sister of Tim Holdsworth of Stockton and Valerie (Gurdon) Hurlburt of Westernville. Also survived by nieces and nephews. Funeral service will be held at 11 a.m. Saturday in Jordan Funeral Home, Sinclairville. Visitation will be held from 6-9 p.m. Friday. Burial in Greenwood Cemetery, Stockton. Memorials to the Chautauqua County Humane Society, 2825 Strunk Road, Jamestown, NY 14701.